Impact – All Stars Project, Inc.
Each year, the All Stars Project involves more than 20,000 young people in development activities that give them the opportunity to perform and to grow. We have transformed from a grassroots, all volunteer-run effort into a national model for engaging poverty through Afterschool Development and community organizing. 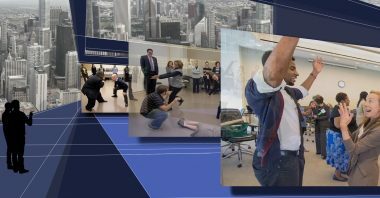 ASP is headquartered in New York City on West 42nd Street in a 31,000-square-foot performing arts and development complex and in 2013 opened the Scott Flamm Center for Afterschool Development, a 9,000-square-foot performing arts and development center in Newark, NJ. With two centers and operations in six cities across the country, we bring inner-city youth together with business and cultural leaders, academics, police officers and other caring adults to create new kinds of relationships and environments where everyone grows. Youth and community members reached annually. 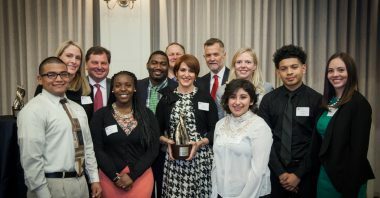 President and CEO Gabrielle Kurlander accepted the Simmons Luminary Award from the Annette Caldwell Simmons School of Education and Human Development at Southern Methodist University (SMU). Inspired by the power of learning to illuminate and improve society, the Luminary Award honored the All Stars Project for its commitment to improving people’s lives through education and development. 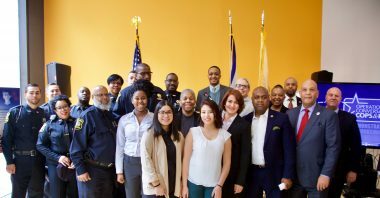 In an important partnership between All Stars and Mayor Ras J. Baraka and the City of Newark, All Stars was proud to announce the launch of Operation Conversation: Cops & Kids in New Jersey’s largest city. Cops & Kids director and ASP co-founder Dr. Lenora Fulani led the first workshop in Newark at the ASP of NJ Scott Flamm Center for Afterschool Development last summer and the initiative will involve 300 police officers and young people in 14 workshops in all five of the city’s wards. What’s next for All Stars? We are leveraging the All Stars' unique performance based model and grassroots tradition of community organizing; advancing philanthropic partnerships for social development, and identifying the next generation of Afterschool Development leaders. We are redefining how we think about, talk and measure the impact of Afterschool Development, as a recognized approach for engaging poverty that is distinct from other afterschool, anti-poverty and education reform efforts. We are establishing a Center for Afterschool Development in Chicago's downtown loop and building bridges between youth from the south and west sides to each other, to caring adults who are partners in their growth, and to the city's success. Through our national expansion campaign, our goal is to attract $100 million of philanthropic investment by 2022 to increase All Stars reach across the country. Financial statements and annual reports. Find out how your donations help kids and build communities.